Release Date:06/16/2017;Notes:Limited double vinyl LP pressing. 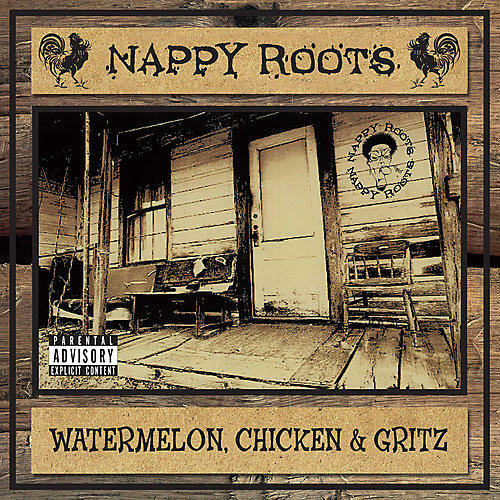 Watermelon, Chicken & Gritz is the commercial debut album by Kentucky-based rap sextet Nappy Roots. It was released on February 26, 2002, the album was propelled by the hit-single "Awnaw" which was produced by James "Groove" Chambers. The second single was "Po' Folks" featuring Anthony Hamilton, which reached #21 on the Billboard Hot 100. The album is certified platinum by the Recording Industry Association of America. Nappy Roots is an American alternative Southern rap quartet that originated in Bowling Green, Kentucky in 1995. They were the best-selling hip hop group of 2002.